To recap, net migration is calculated as the total number of people entering the United Kingdom for a year or longer minus those who leave the country. The Coalition Government in the United Kingdom is committed to reducing the net migration number from the hundreds of thousands to the tens of thousands. At present this is calculated based on something called the International Passenger Survey – which is a random sample of up to 5000 people each year asking them why they are entering or leaving the country. From that the Office of National Statistics extrapolates the net migration number. A deeply flawed and unreliable mechanism, given the millions of entries and exits to the UK each year. 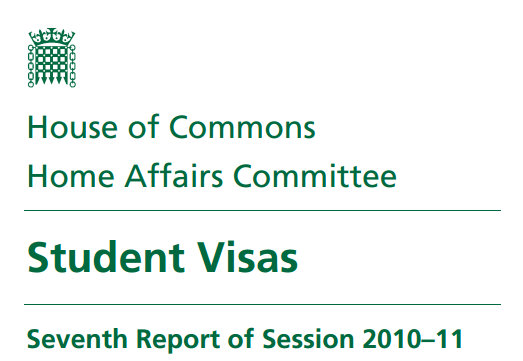 As far back as March 2011, the Home Affairs Committee published its report on the student visa system in the UK. It received evidence from across the sector including UKCISA, Universities UK and (more modestly ourselves) and beyond, pointing out the shortcomings of the International Passenger Survey and urging the Government to explore more statistically robust methods of collecting data which in turn inform major policy decisions. If bringing net migration to the tens of thousands remains a policy imperative for this government, it would make sense to know who comes in and who leaves the country. 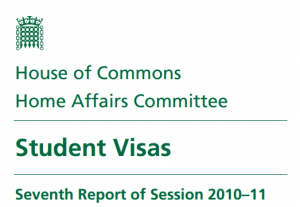 International students, one of the very few categories over which the Government has control, should not become collateral damage in the achievement of a wider policy objective, especially when the we don’t even know who is coming in and out of the country. We do hope that this latest report form the Public Administration Committee will once again refocus the debate on the development of a more accurate migration assessment mechanism. And while they’re on it, would it be too much to hope that the other major recommendation from the sector, that students are excluded altogether from net migration statistics is revisited? Students are not migrants in the sense that any normal person understands the term. As the Department of Business Innovation and Skills reported this morning, education is an export industry worth £17.5bn per year and one where students are wealth creators rather than resource-consumers. £67 million on visa compliance – but is the money being spent in the right areas? …Still find it unbelievable that the government can include students within net migration measures yet have no idea how many people have entered and/or current live in the UK! Students bring in billions a year to the UK economy…At a time of such economic uncertainty, I find it incredible that the government can continue with such ludicrous policies!